A settlement has been reached in the wrongful death lawsuit in the 2014 hayride crash that killed 17-year-old Cassidy Charette. 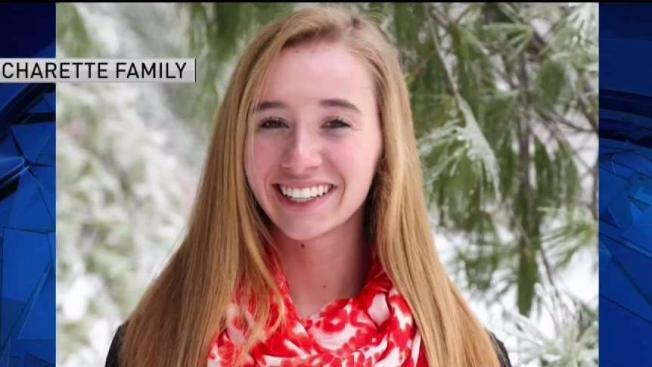 A lawyer representing the family of a teenager who died in a 2014 hayride crash in Maine says they have settled their lawsuit against the farm owner who operated the attraction. The settlement amount in the wrongful death lawsuit for 17-year-old Cassidy Charette wasn't disclosed Wednesday, but lawyer Jodi Nofsinger said funds received will be used to support a family-created foundation to educate youth. Last year, Harvest Hill Farms owner Peter Bolduc entered a guilty plea to a felony, driving to endanger, in exchange for the dismissal of a manslaughter charge, and was fined. Prosecutors argued the hayride was not properly maintained, and the Jeep pulling the trailer was not meant to carry that much weight. The Jeep's brakes failed and the hayride hit a tree, causing more than 20 people to be ejected and injured in the crash. "A lot of people seem to have the idea that this was an accident, and that accidents happen," said Nofsinger. "This was not an accident. This was a tragedy waiting to happen." Nofsinger said the Charette family will continue to work with lawmakers to pass "Cassidy's Law." It would require farm equipment to undergo state inspections if it is being used in attractions like a hayride. Cassidy's younger brother, Cody Charette, said his family is carrying on in the best way that they can: honoring Cassidy's memory by helping others. "There really is only one way to remember her," he said. The ShineOnCass foundation will use the settlement money to award scholarships to Messalonski High School students and support charities Cassidy cared about. "On behalf of the defendants, they continue to grieve about this tragic accident, and the loss of Cassidy, and the injuries of the others in this hayride. They hope the resolution of this matter helps in some small way, to continue the healing for everyone."